On the 23rd and 24th of May Sigma Xi will hold separate, but coordinated, conferences in Espoo (Helsinki), Finland, at Aalto University. On the 23rd the Nordic Chapter will host its Second Annual Meeting and Research Conference, and on the 24th the European proto-Region will host its First Annual Meeting and Research Conference. Participants in the former are automatically included in the latter, and all those attending the European events are invited to join the Nordic Conference. 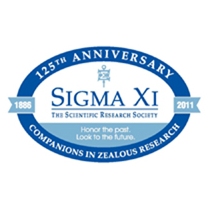 Sigma Xi President Joseph Whittaker will be with us, and will deliver the keynote addresses at both events. All Society members from anywhere in the world are invited to join with us and become part of the international expansion program for members and chapters, grouped into new worldwide regions. So these Conferences will not only be serious research events, they will blaze the trail for all such future events to the remote corners of the world. For more information on the Nordic meeting contact Chapter President Julia Lawall or Conference Organizing Member Tapio Ala-Nissila. For the European meeting contact International Committee Chairman and Canadian/International Constituency Group Director Antonio Pita, or me. Our email addresses are listed here. Especially we are looking for speakers for the few remaining slots. These presentations are intended to be informal and prepared for a general scientific audience, so feel free to discuss work in progress. This entry was posted in Blog, Sigma Xi on 29.03.2011 by Paul Carlisle Kettler.